ORCHARD LAKE, MI — The Polish Mission of the Orchard Lake Schools is honored to present a screening of A Place to Stand, the landmark documentary by award-winning Polish filmmaker Anna Ferens, in cooperation with the Polish Consulate in Chicago. 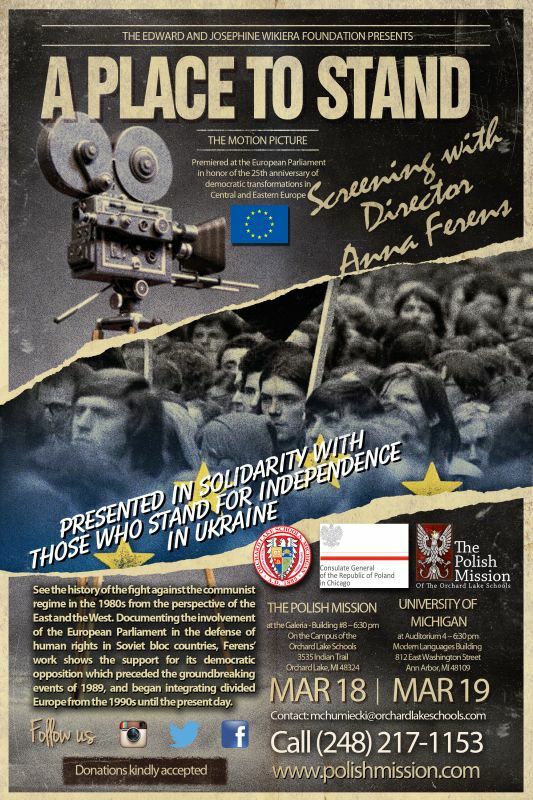 A Place to stand was released in January and had its premier at the European Parliament in Brussels in honor of the 25th anniversary of the democratic transformations of Europe, beginning with Poland. 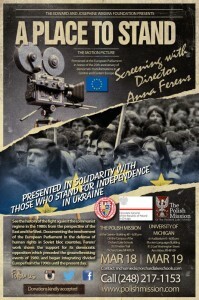 The film is being presented by the Polish Mission in solidarity with those who stand for independence in Ukraine. Anna Ferens will be present at the screening to personally introduce Michigan audiences to the film, and will take questions from the audience afterward. Following the screening in Orchard Lake, Ferens will travel to Ann Arbor, for a second screening at the University of Michigan.